Legendary stage is legendary, of course. Mamamoo are so much more than just title tracks, and anyone just listening to singles are surely missing out on gems like- half of Melting. LOL Or non-title tracks of Yellow Flower. Decalcomanie may be the single that deserved all the awards and popularity when it first came out, but I may love Recipe just a tiny bit more. “That’s it” LOL Did I overdo it? Yes, I did. But how am I suppose to choose just 10 songs without feeling I’m leaving one behind? I mean, I dare you all to just suggest 10 songs. I bet no one can. Next story Family Guy: What Makes It a Huge Success? 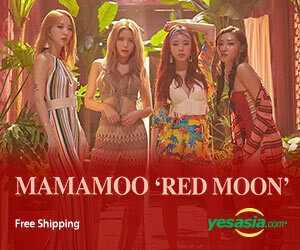 Beginner’s Guide to Mamamoo | personal.amy-wong.com - A Blog by Amy Wong.